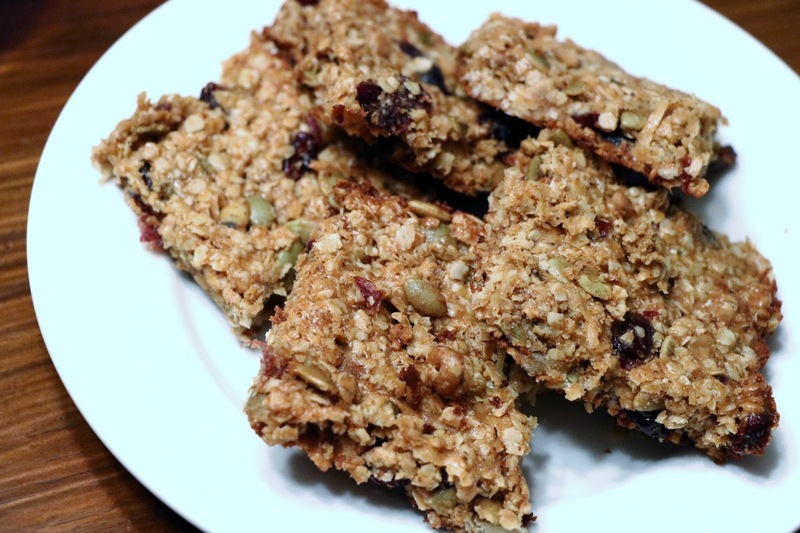 I baked some yummy granola bars yesterday and I wanted to share the recipe! I adapted this from about 4 different recipes I found online and I loved how they turned out!! They are just they right mix of crunchy and chewy and filled with nuts, seeds, and dried fruit. 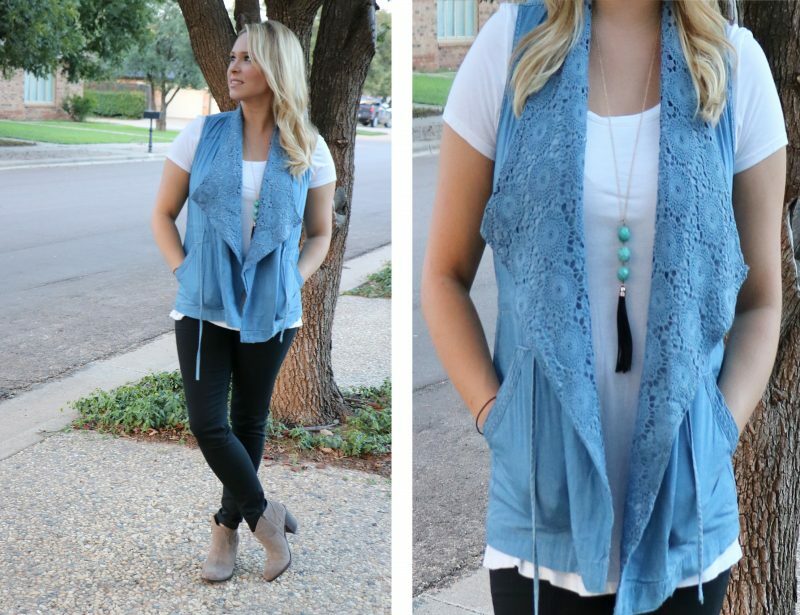 One of the great things about making these homemade is that you can really make them how you want them. They are a perfect mid day snack or a quick grab and go breakfast. 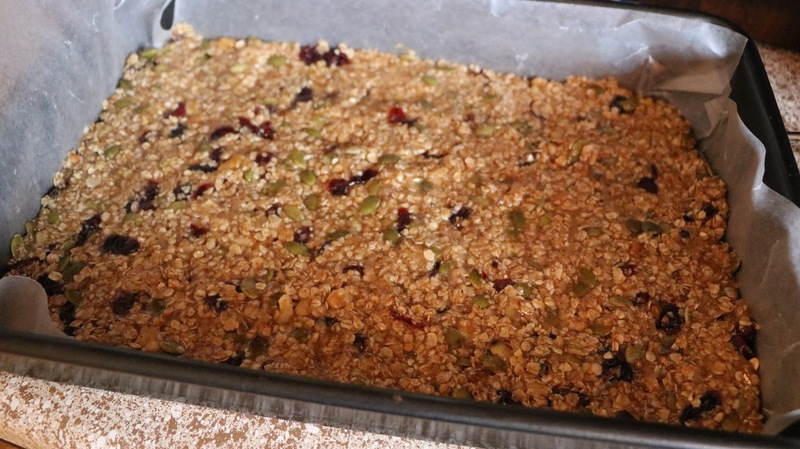 Most store bought granola bars seem to have so many additives and sugar in them, the fact that these are homemade, you know exactly whats in them. They are delicious!! 1/2 cup of agave syrup (you can also use honey or maple syrup)- if you want them a little chewier add a little more to your liking. 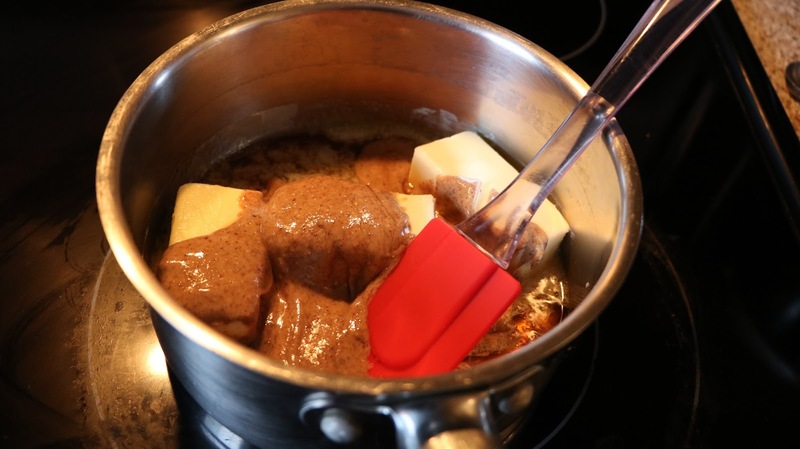 Melt butter in a sauce pan on the stove top on low to medium heat and add the brown sugar, vanilla extract, and agave syrup. 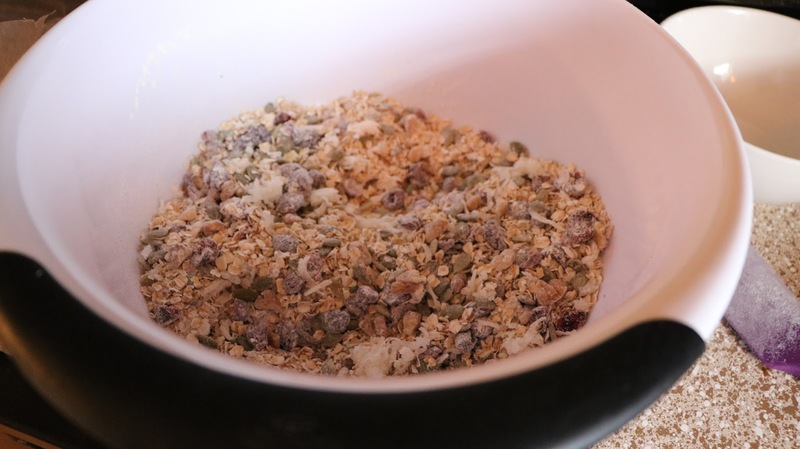 Once it’s melted together add it into your dry ingredients. Mix well. Pour mixture into 13x 9 cooking pan lined with wax paper. Even out your mixture and press down to fill up the pan. Cook on 325 degrees for 25 minutes. Let cool for 10 to 15 minutes. These will stay for about a week in a air tight container or you can refrigerate them.